HOUSTON - Andrew Luck threw for 399 yards and two touchdowns and T.Y. 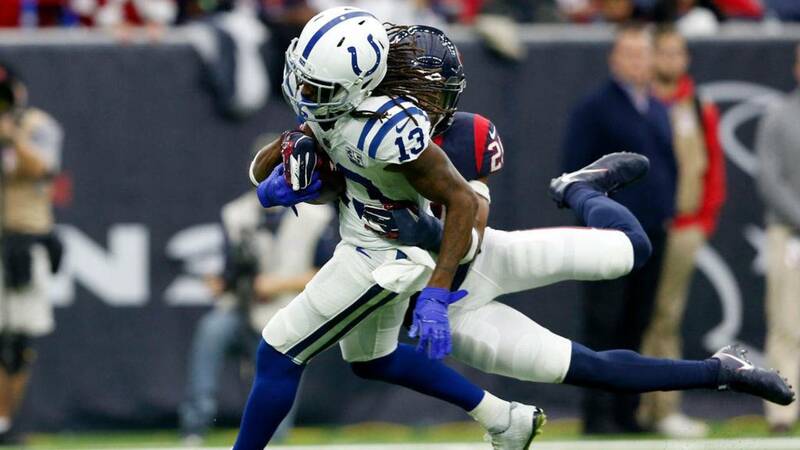 Hilton had 199 receiving yards to lead the Indianapolis Colts to a 24-21 road win over the Houston Texans on Sunday afternoon. The Colts didn't have a first down until early in the second quarter. They found momentum on that drive before a pass from Luck was tipped by Kareem Jackson and intercepted by Andre Hal. Indianapolis finally ended a lengthy scoring drought with Marlon Mack's 4-yard run. That play followed a 60-yard completion from Luck to Hilton. Houston opened the third quarter with a long drive to a 1-yard touchdown run on a direct snap to Lamar Miller to cut the Colts' lead to 17-14.